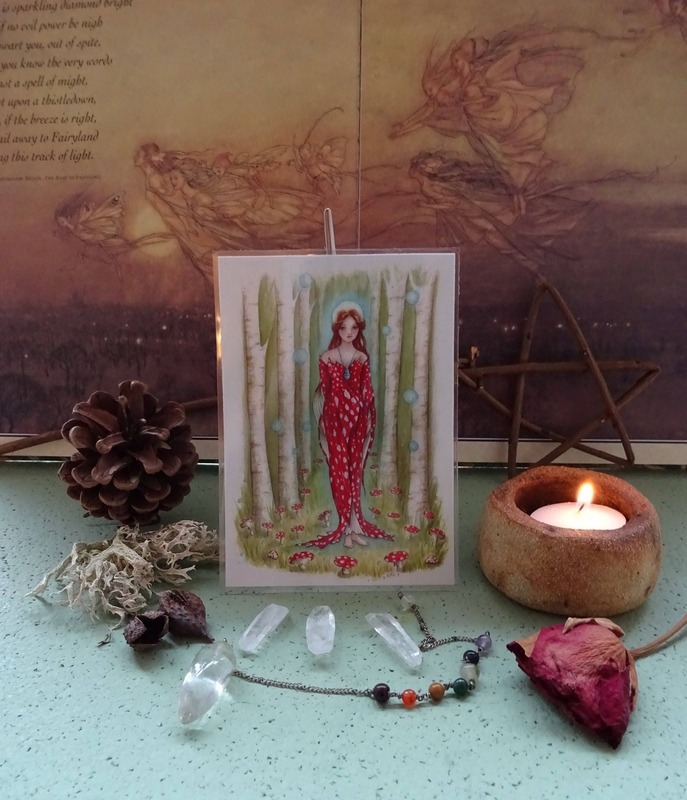 Mini signed print taken from my original artwork, small enough to carry with you or would be ideal for using to decorate a Goddess altar. 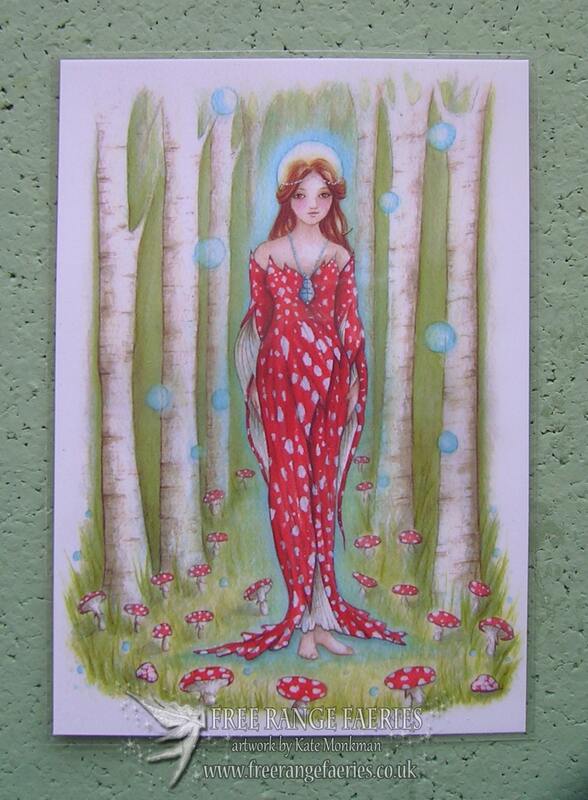 Print taken from my original artwork 'Brighid's Wood' every Autumn at the back of my house some beautiful fly agaric toadstools appear, I find there intense red colour with white spots so magical & was fascinated to read all the legends surrounding them & it inspired me to paint Brighid's wood after reading about the links the Irish Goddess Brighid has with the fly agaric mushroom. 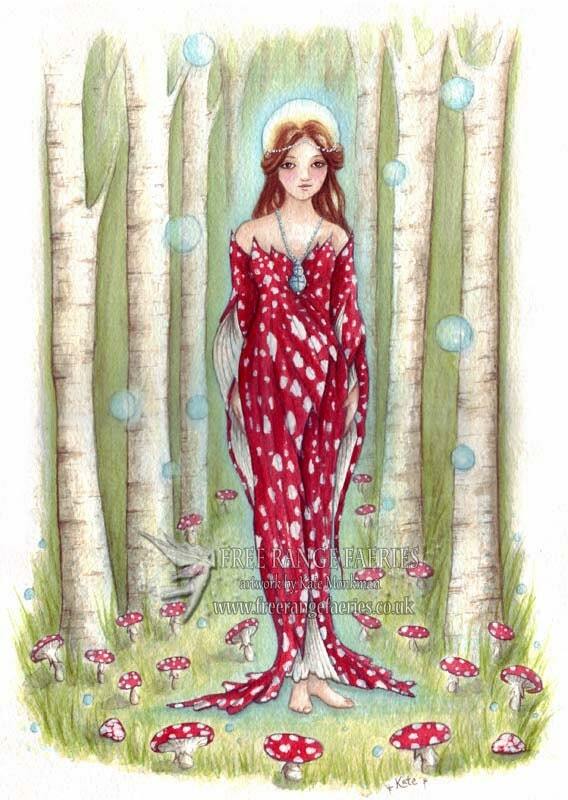 According to old Irish mythology Brighid lives in a sacred grove of twenty birch trees, to those who come to her she provides a divine herb (a special mushroom) which conferred healing and immortality. Truly beautiful piece from a gifted artist. So happy with this. 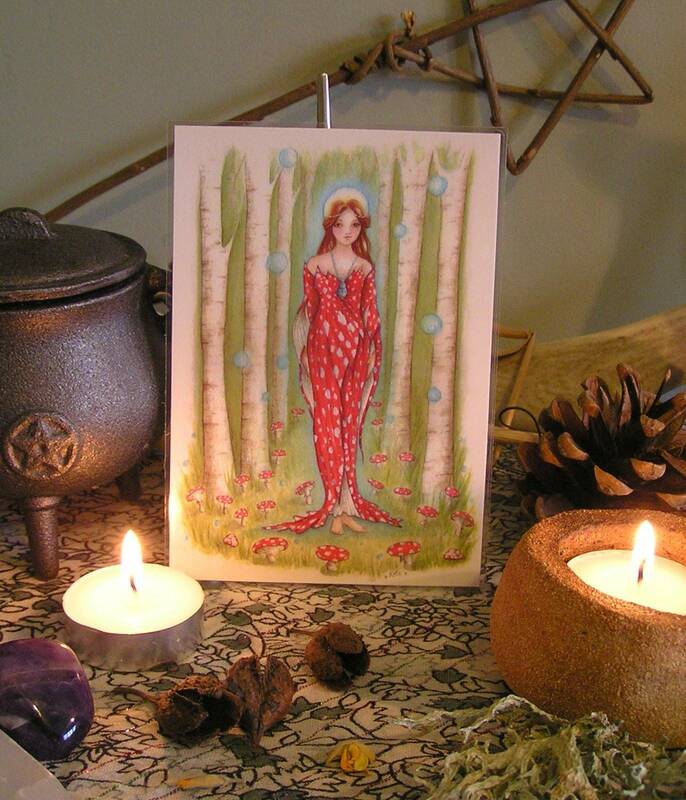 I highly recommend buying pieces from this shop - they are each wonderful.